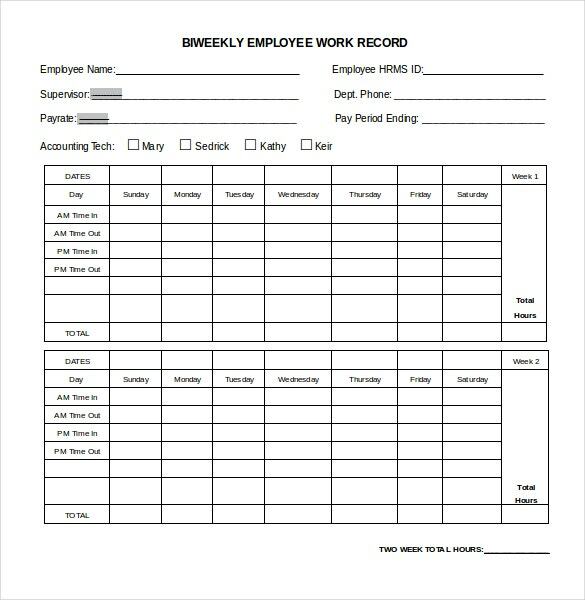 Numbers timesheet template allows small and business firms to track work schedule of employees on hourly, daily weekly, biweekly and monthly basis. It also includes an area for daily meal breaks and also makes provisions for overtime work done. Enter clock in and clock out time in hh:mm format. You can see also timesheet invoice templates. The numbers take care of the calculations. 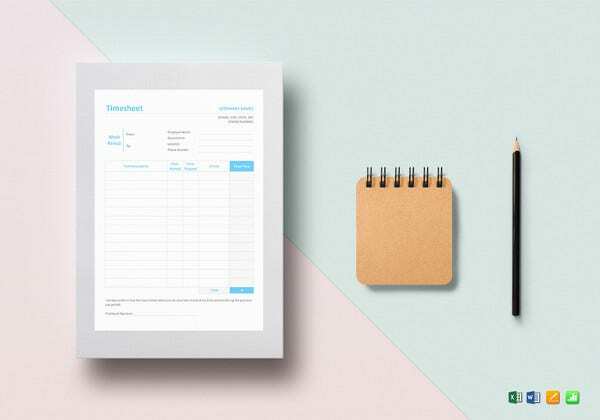 Samples are available on the website to view examples of how companies have been incorporating these timesheet templates and making their work simpler in respect of saving time, energy and resources. One the documents are exported to main system for one period, it is cleared and prepared for the next period’s use. 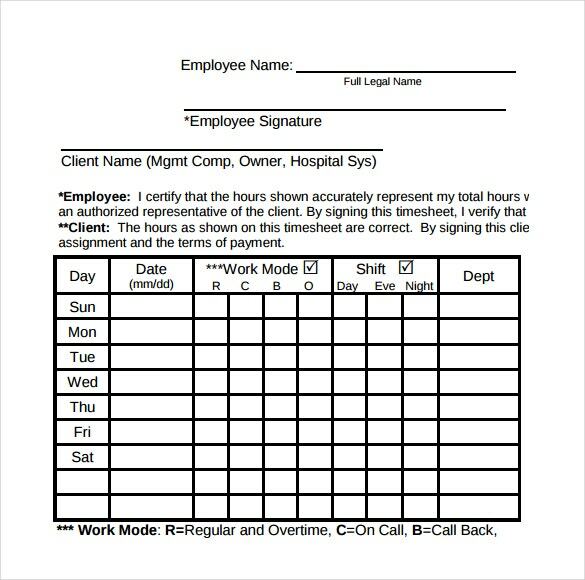 With this template keeping track of the employees becomes much easier and quicker. The template allows employers to check the working schedule of the employees according to working days, hours, days of the week, department, work mode and shifts. The template has blanks for employee’s name, signature, company name and a declaration note of the client and the employee. 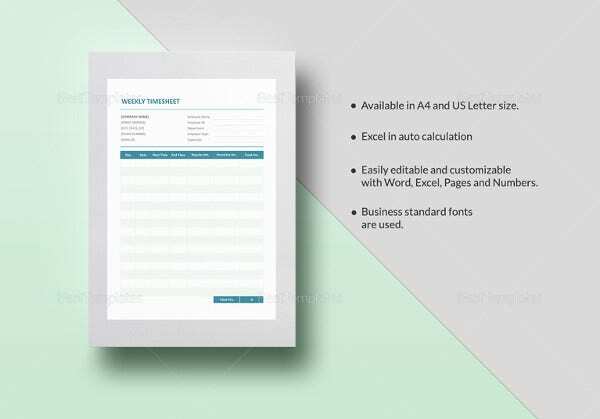 As the name suggests this PDF template tracks the employee’s schedule on weekly basis. 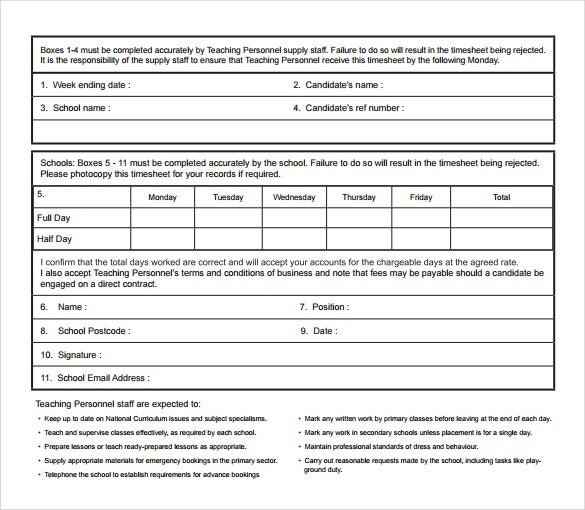 The template has table and columns for tracking lunch time out, lunch time in, candidate’s information, total working hours and other relevant information. The template is simple yet effective in calculating the working hours of any employee. Numbers timesheets or timecards are used by employees to record the exact time they came to work and left from work. They are instrumental in avoiding confusions on the number of hours the employees have worked. Thus, this makes the computation of the salaries easier. 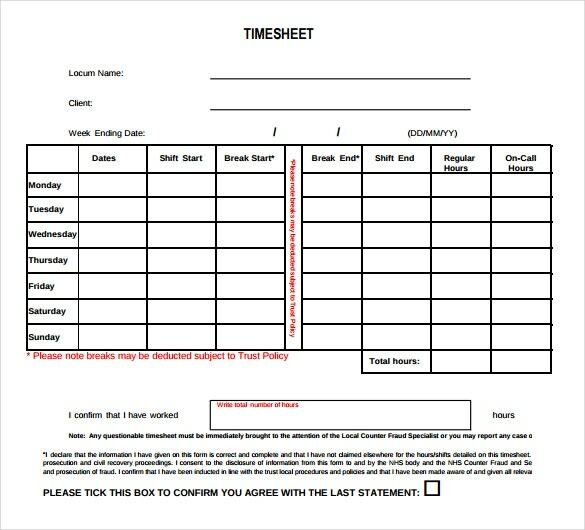 A numbers timesheet template can be downloaded from the internet for free in Word, Excel or PDF formats. You can see also sheet templates. 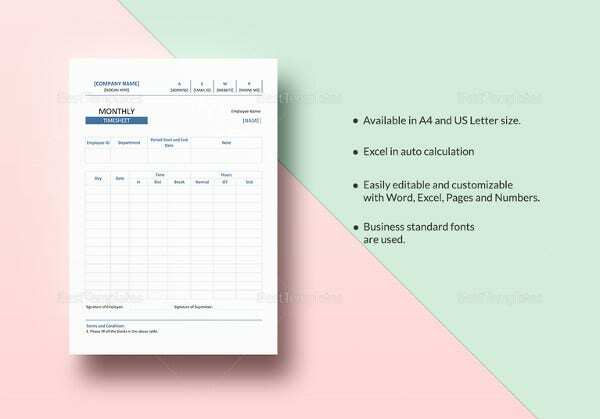 dovico.com Very simple and easy to understand timesheet template available in Word format. The template neatly defines date, start time, end time, regular hours, over time hours total hours etc in a table and column format. It also includes spaces for employee and company information at the top of the sheet. The working hours of some industries are not exactly fixed whereas some other industries give their employees the liberty of working for a certain number of hours throughout the day giving the privilege of preference of the time-slot to the employees themselves. However in such industries many a times the employees seem to misuse to liberty or sometimes the incredible amount of freedom given to them makes them feel clueless about how to use it which can then ultimately lead to less working hours. You can see also call sheet templates. Many a times it is therefore suggested that the company may not follow such a work pattern however there still are companies that tend to go with this arrangement. In such companies the problem of the workers working hours and their inability to cope with the given amount of time is generally faced. Sometimes this confusion tends to get so large that it confuses both the employees and the employers about who has worked for how many hours and how many extra hours has someone else contributed. For such companies, the numbers timesheet is very useful and in fact necessary. It helps to keep a track of the total time that the employee has expended throughout the day, recording his in-time and his out-time. Thus number timesheets help avoid a lot of confusion. Numbers timesheets are very easy to create and the developers who have designed these templates have already spent a considerable amount of time and energy on their design and layout. This has made these timesheets foolproof and you can totally rely on their credibility in the regards of recording time. The timesheets are very easy to use for the employees too because all they have to do is fill in their timings of arrival at and departure from work. You can see also balance sheet templates. The numbers timesheets are created for the purpose of lessening the confusion and therefore it would only be right if the confusion is not increased by editing the rows and columns or pre-designed sections from the template. This would keep the fool-hardiness of the templates intact and therefore by default, their reliability as well. The numbers timesheet templates available with us are designed by experts who provide more credibility to the formats. The users can edit the template or use as it is. This not only saves a lot of crucial time but also money. you can see also cover sheet templates. 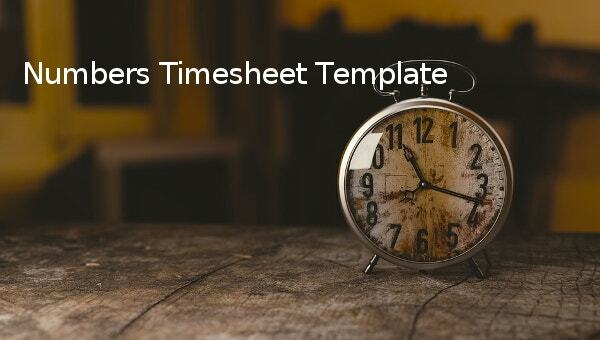 > When do you need numbers Timesheet Template? 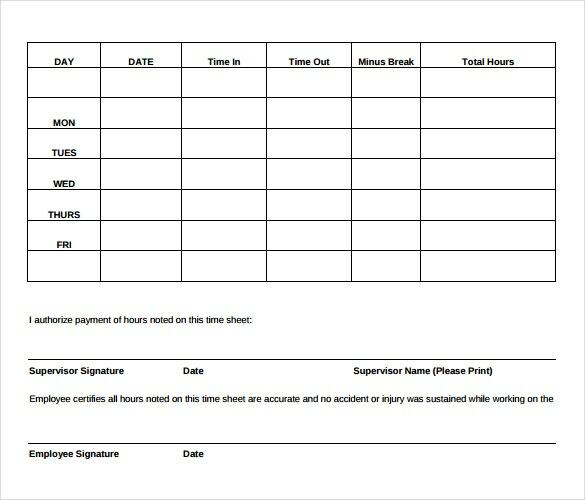 A timesheet template is one stop solution for saving time and efforts in keeping track of any employee’s work schedule. 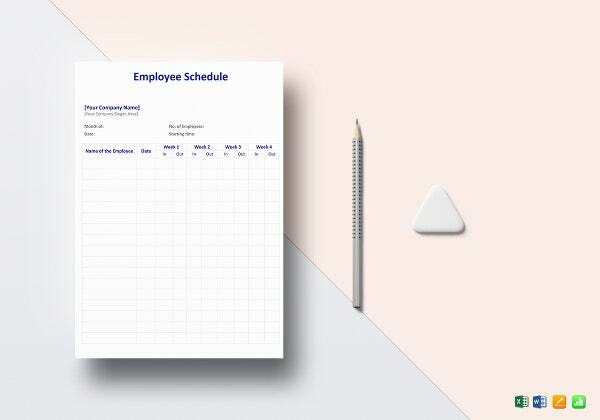 These templates are ready to use timesheets that include working hours, time in, time out, luck break time, over time and other aspects that are needed to calculate total working hours of the employees. 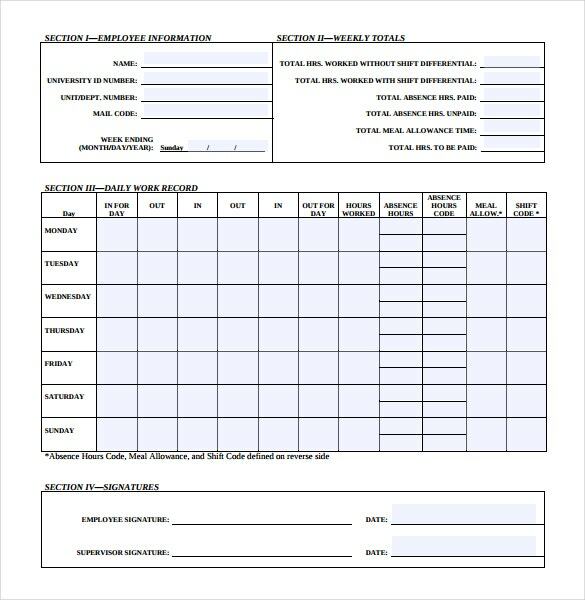 These templates also include spaces to fill in employee’s basic information like legal name, designation, phone number etc along with spaces for company or client information for which the employee has been working. 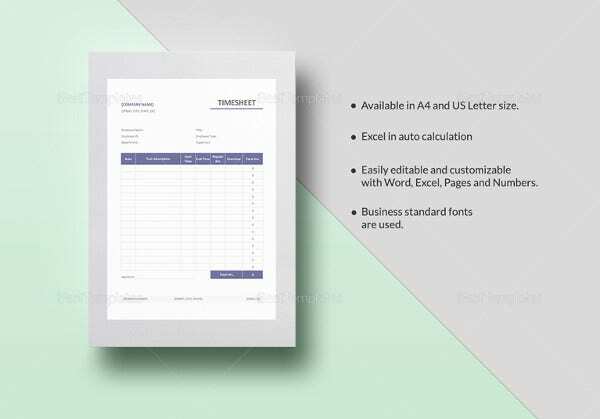 Timesheet templates are available in various formats like PDF and Word for free. These templates prove to be very helpful in hassle free management of employee working schedule. > Who all can use Numbers Timesheet Templates? 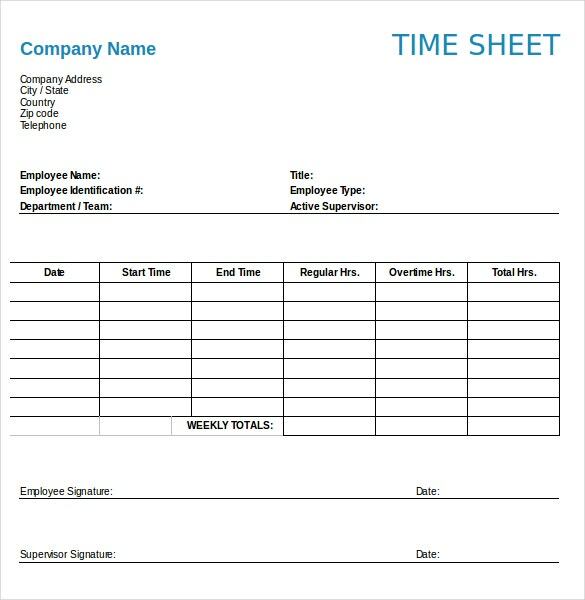 Number timesheet templates can be used by anyone from big firms to small businesses. Big firms have numerous employees and keeping track of each and every employee’s working hours can be difficult and very time consuming. 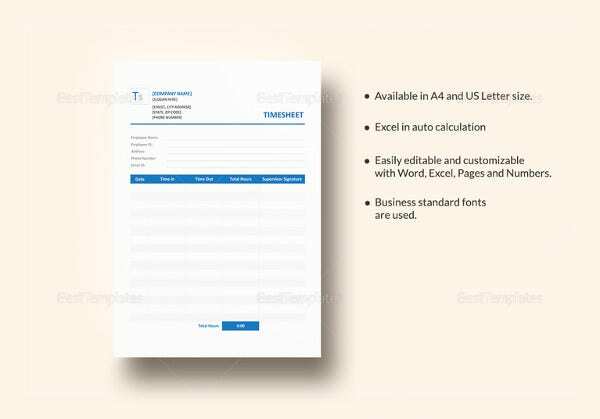 In this case number time sheet templates prove to be easy and accurate mode of calculating working hours of the employees. 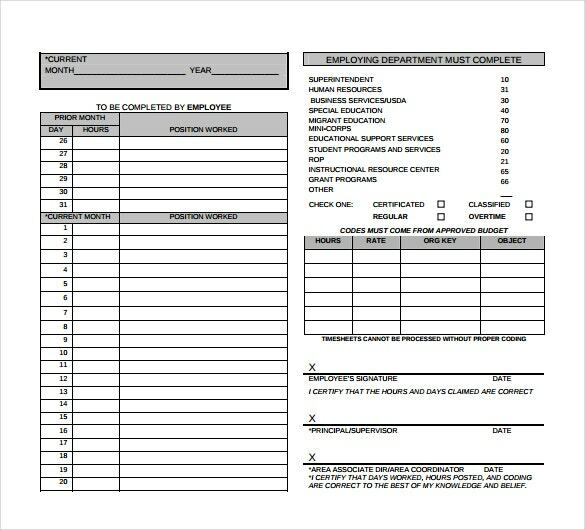 In case of small firms these numbers timesheet templates prove to be cost effective way of managing candidates working schedule and saving any extra expenditure which might occur if the working schedule either is not properly tracked or calculated. 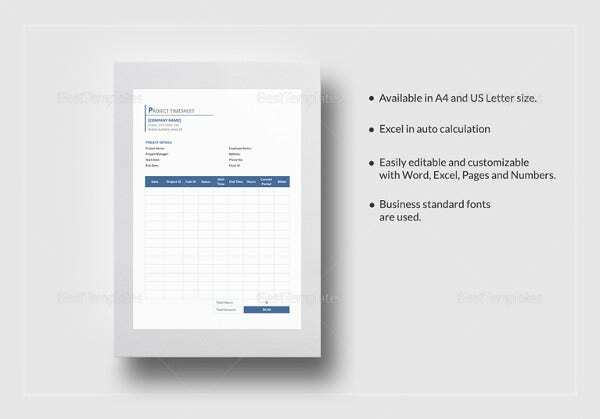 These templates save time and resources of any business firm regardless of their size. 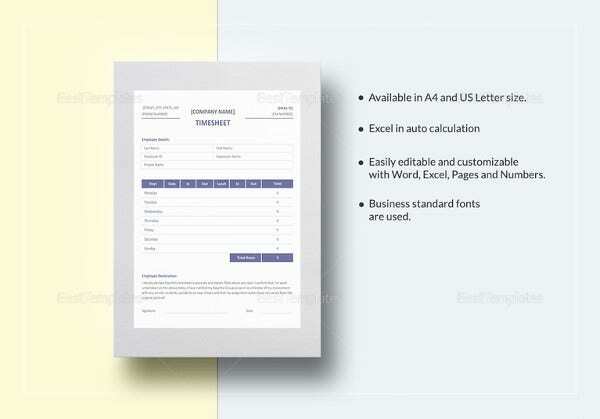 > What is the Benefit of using Numbers Timesheet Templates? Every industry has different standards of working hours for employees. Some employees work for part-time, some might work over time or some might be appointed for fix days or hours in a week. Keeping track of variant working schedules of different employees is not easy and in that case numbers timesheet templates come handy. 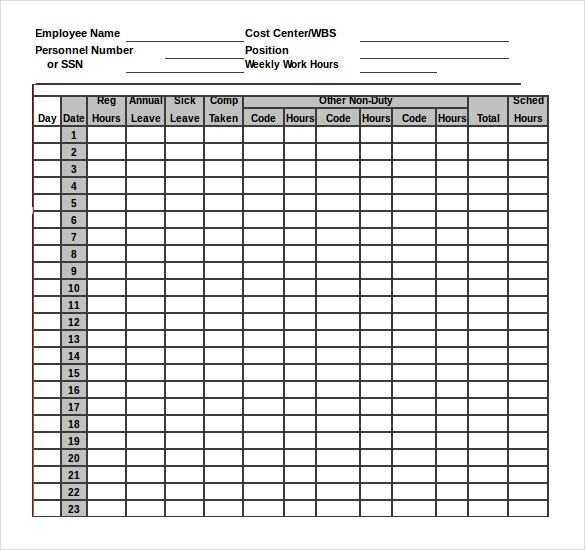 These timesheet templates help you to avoid any confusion regarding total working hours of any employee. Available in various formats and structures, one can choose them according to their requirement. These templates record working schedules on monthly, daily weekly, biweekly , hourly or monthly basis. There are also field like daily lunch break, over time and total work done that further simplifies calculation of total working hours. 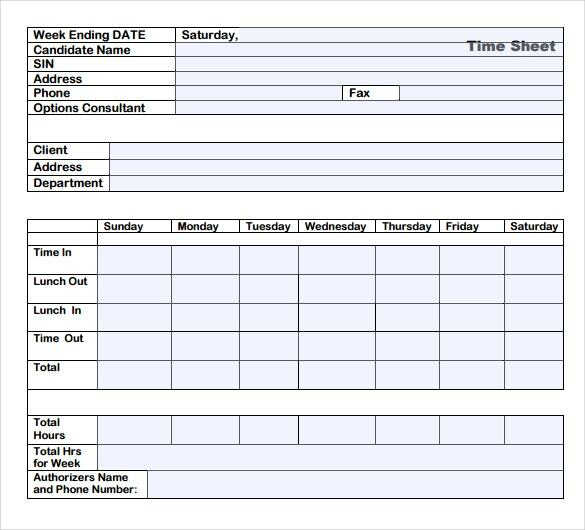 Simply put these numbers timesheet template are the easiest way of keeping track of your employees. The well organized templates let you know how many hours have the candidates worked for, how much overtime has been done and how much time has been spent on lunch breaks through pre made time, date and day monitoring tables in the templates.